October 18, 2018 1:18 pm. Beauty Generation galloped on a dampened turf track at Sha Tin this morning (Thursday, 18 October) and relished every step taken as trainer John Moore kept his stable star ticking over into Sunday’s (21 October) Group 2 Oriental Watch Sha Tin Trophy Handicap (1600m). Hong Kong’s Horse of the Year stretched out around Sha Tin’s floodlit circuit pre-dawn with Zac Purton in the saddle. The powerful bay entered the track at about the 1800m mark, wound up off the turn and quickened to a cruising gallop down the home straight to clock 25.9s for the final 400m. “Zac was really happy with the work,” Moore said as he sheltered under a stable-liveried maroon and white umbrella. The champion jockey, meanwhile, was satisfied with his mount’s wellbeing. “The track is quite soggy with the drizzle we’ve had over-night so it’s spongy and that was a good thing for him,” Purton said. “He didn’t want to tear around the track, he was happy just to cruise along and look after himself. He went through his gears nicely and worked up to the line without too much pressure. It was just a piece of work to tick him over and he enjoyed it. Beauty Generation is seeking a second win in the weekend feature, having captured the prize last year. The crack miler faced the same scenario earlier this month when he stepped out with an impressive win under top-weight in the Group 3 Celebration Cup Handicap (1400m), another race he had won 12 months prior. But the Road To Rock gelding has since gone up six points in the ratings, ensuring that his 133lb impost will be that much more burdensome this time around. “It’s a very tough ask,” Purton said. “He has to give a lot of weight away, not just against the proven horses but also to some of those up-and-comers down the bottom that haven’t reached their marks – we don’t know how good they could be. And with the conditions set to favour a light-weighted rising talent, and the prime target being a second victory in December’s Group 1 Hong Kong Mile, neither Purton nor Moore will be dismayed if Beauty Generation tastes defeat in the Sha Tin Trophy. “If he runs well and gets beat there’s no shame in that at all, not at the weights,” Purton said. Such was the quality of Beauty Generation’s Celebration Cup win last time that the Australian import was raised to an international rating of 123, making him the world’s equal-best active miler. Another smart success under a high weight could well see him climb higher. Moore also watched past Horse of the Year Werther (127lb) work the same lush tract this morning as he prepared for his seasonal return in Sunday’s mile feature. The seven-year-old’s last start was a rattling second in the Group 1 Takarazuka Kinen in Japan back in June and the multiple Group 1 winner had a quiet barrier trial on the all-weather last week. Young South African rider Callan Murray was in the plate for Werther’s recent trial and will take the reins on Sunday before returning them to the gelding’s usual big-race pilot. “Murray will ride and then Hugh Bowman is expected to be back for the trial and the Hong Kong Cup,” Moore said. The Oriental Watch Sha Tin Trophy is also set to feature Hong Kong’s champion stayer, Pakistan Star (128lb), and champion middle-distance horse, Time Warp (128lb), as well as two of last season’s best four-year-olds, Singapore Sling (117lb) and Nothingilikemore (113lb). 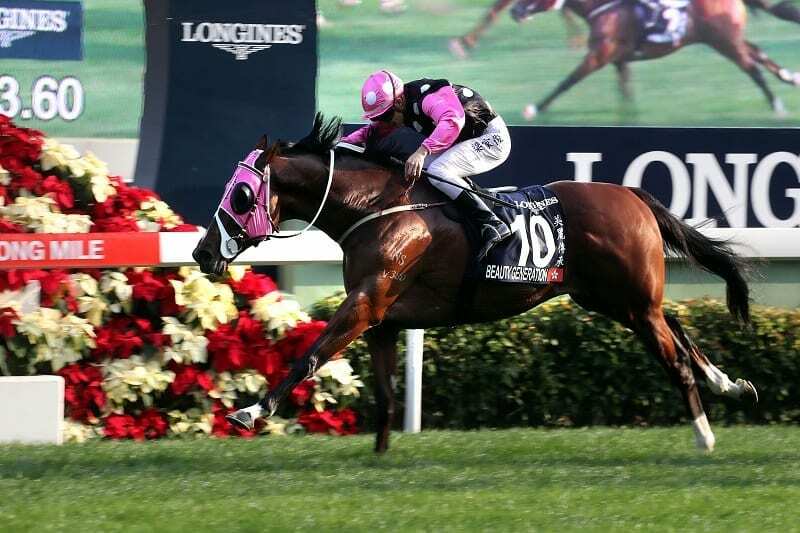 Sunday’s card also includes the Group 2 Premier Bowl Handicap (1200m), in which champion sprinter Ivictory will rematch with Group 1 Hong Kong Sprint (1200m) hero Mr Stunning and Group 3 National Day Cup Handicap (1000m) scorer Hot King Prawn.